MEXICO CITY — The buildings shuddered and rocked in the strongest earthquake in this city’s modern history, and yet they remained upright. Then, exactly 32 years later, they crumpled in seconds, killing 228 people. A popular myth had evolved about those buildings that withstood the devastation three decades ago while vast parts of the city were leveled: a belief that their survival then might ensure their resilience when the earth next heaved. 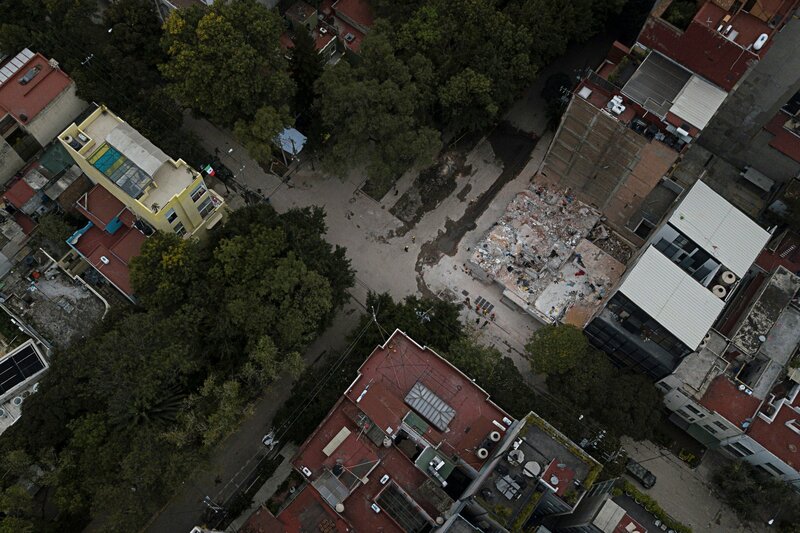 That myth crumbled last month: Most of the buildings that gave way when a 7.1-magnitude quake struck Mexico City on Sept. 19 were built before 1985. And the destruction did not discriminate. The buildings that fell crossed classes and neighborhoods, burying accountants and garment workers in commercial buildings, children at a private school and residents of both a housing project and an apartment building on one of the city’s most desirable streets. After walking through the sites of collapse in the days after the earthquake, he was deeply frustrated. “Society is always thinking about saving money,” he said. But for “buildings in an earthquake zone, cheaper is always more expensive” when an earthquake hits. Much has improved since 1985, when an earthquake here killed at least 10,000 people. 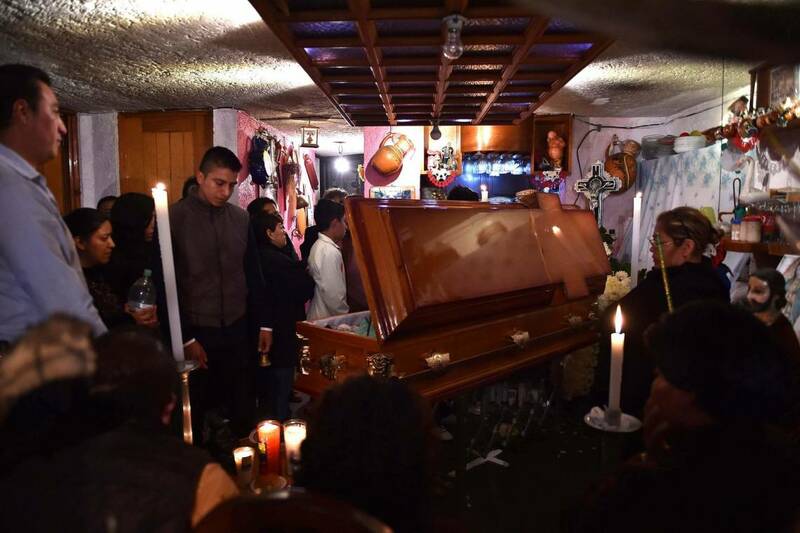 The city has repeatedly strengthened its building codes, and updated rules reached Mayor Miguel Ángel Mancera’s desk the day before the most recent temblor. But owners of older private buildings are not required to retrofit the construction to meet the new rules. And because every earthquake is unique, buildings respond differently each time. Most earthquakes that affect Mexico City occur off the Pacific Coast, including the 8.1 earthquake on Sept. 19, 1985, that was centered about 215 miles west of the capital. Parts of the city lie on the sand and clay of an ancient lake bed, a geology that amplifies the shock waves from these distant epicenters. The damage then was concentrated in the city’s central districts, leading to a widespread belief that other parts of the city would be spared in future shocks. Last month’s temblor was atypical, because the epicenter was just 75 miles south of the city. Sections of the city’s south that had stood up well in 1985 bore the earthquake’s full force this time, and it was largely older buildings made of brittle concrete that collapsed, said H. Kit Miyamoto, a California seismic safety commissioner who visited Mexico after the recent quake. The damage this time was limited because the earthquake was weaker than the 1985 quake and was quite deep, he said. But a closer, shallower temblor could cause 100 times more devastation. “This is a warning not only to Mexico City, but a warning to L.A., San Francisco, San Diego, Tokyo, everywhere,” said Dr. Miyamoto, a structural engineer. In all of these cities, older structures of brittle concrete are vulnerable to a strong earthquake. Los Angeles has moved toward mandatory retrofitting for the buildings most at risk — older concrete structures and those with a “soft story,” an open ground floor used for parking or a store front. “Businesses need to understand that seismic strengthening can be good business,” he added. After the 1985 earthquake, Mexico City did retrofit schools, public buildings and a few of the largest private offices. Most of those buildings appear to have held up well this time, Dr. Alcocer said. For the owners of other private buildings, though, the decision was largely voluntary — unless they changed the structure’s use by converting apartments to offices, for example. 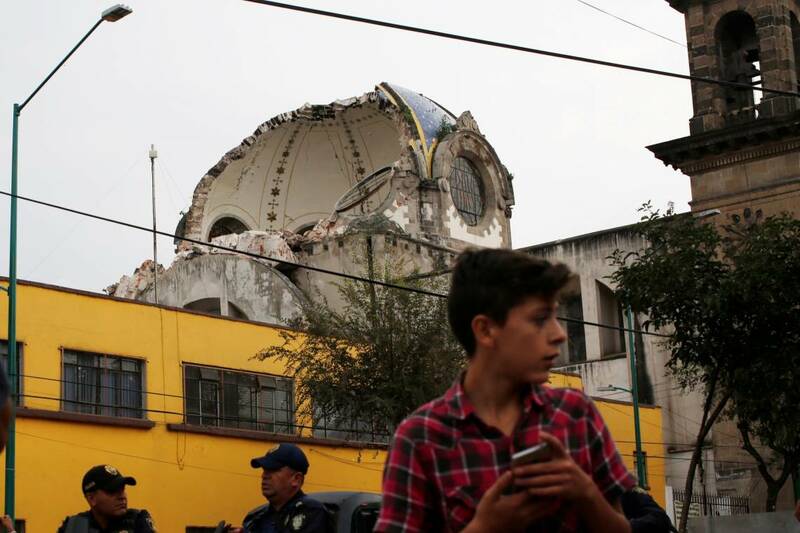 “This earthquake made us realize that there are many buildings that haven’t been brought up to date,” said Edgar Tapia Hernández, a structural engineer who is also at the Metropolitan Autonomous University Azcapotzalco. It is likely that many of the structures that collapsed this time were never retrofitted, Dr. Tena Colunga said, including a 1983 building at the private Enrique Rébsamen school, where 19 students and seven adults were killed. The image of the pancaked school building framed by a halo of wooden beams wedged in the concrete to brace it now haunts the city. Last week, officials uncovered a paper trail showing repeated building violations by the school’s owner, which resulted in only minor penalties. 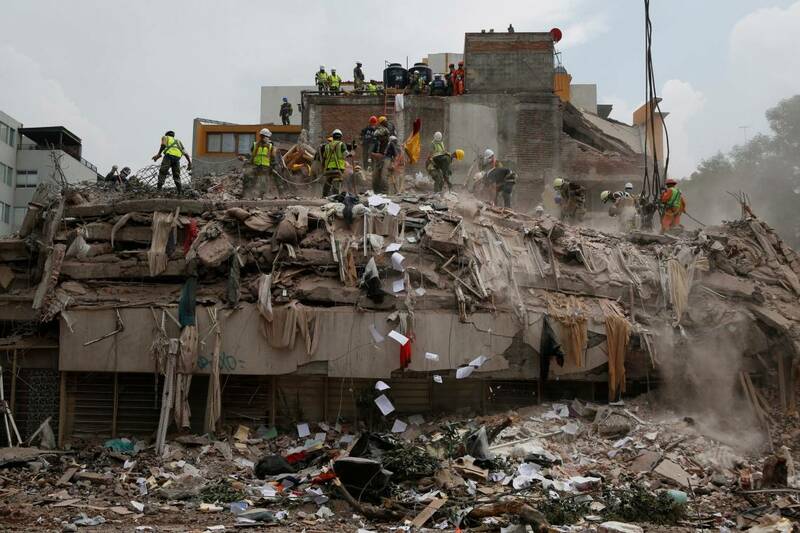 Claudia Sheinbaum, the delegate for the Tlalpan District, where the school is located, filed a criminal complaint last week over the collapse. The complaint asked the city prosecutor to investigate why unauthorized construction on the building’s third and fourth floors was allowed. Another city agency had already accused the school’s owner of submitting a false zoning permit. The owner has not appeared in public for more than a week and the lawyer representing her did not respond to a telephone call. But even where there are no accusations of wrongdoing, the cluster of dots on the city’s maps marking fallen and ruined structures suggests how much work is needed. 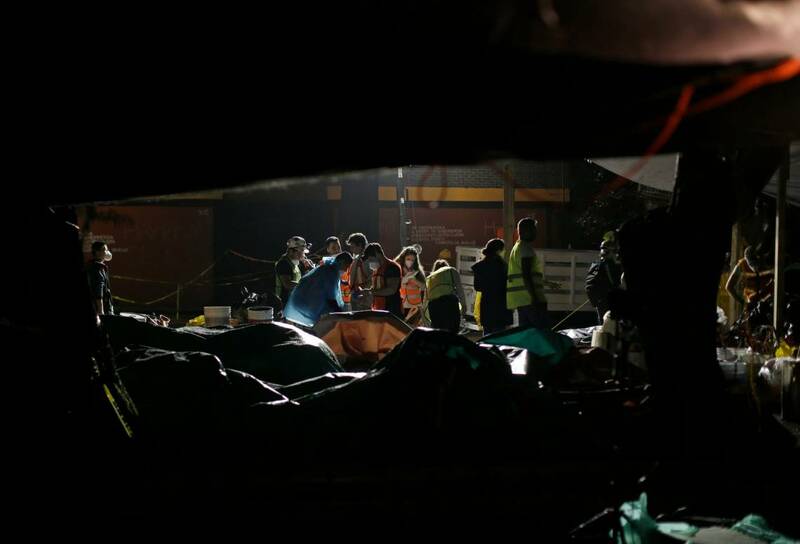 Mr. Mancera, the mayor, said Thursday that in addition to the 38 buildings that collapsed, 800 to 1,000 others sustained serious structural damage, although that figure could still rise. Engineers have already identified common features among those that fell, including the ground-floor “soft story.” Corner buildings also proved particularly vulnerable. Such insights, combined with the knowledge that experts now have about the seismic zones underlying the city, make it possible to begin identifying the structures that are most at risk. Dr. Tena Colunga said he would like to see mandatory reviews of buildings with more than 100 occupants. Building materials degrade over time, he said, like a paper clip that is bent and unbent repeatedly until it finally snaps. “For every peso that you spend on retrofits, you are saving seven pesos later on,” he added. But the local left-wing assembly may balk at anything that sounds too authoritarian. And there is a question of money. “I don’t know politically how much this program would move” forward, he said.